Community Spotlight is a regular feature which highlights amazing fan projects in the Remedy community. For 2018 we're switching things up a little with each month having its own spotlighted fan and fan project. For our July feature I'm excited to talk to Melissa, also known as Melfpic on Instagram, an incredible artist and Remedy fan living in South Korea. This month's Community Spotlight is an expansion (of sorts) on our June feature with a more in-depth look at one of the artists we showcased, melfpic (Melissa). 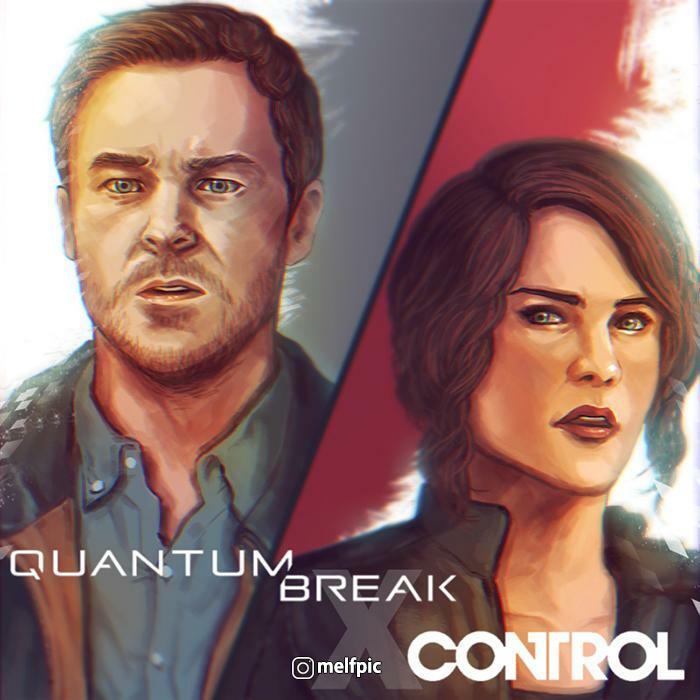 Melissa is a talented artist who not only creates gorgeous Quantum Break pieces but was also one of the first fans to create artwork for Control. 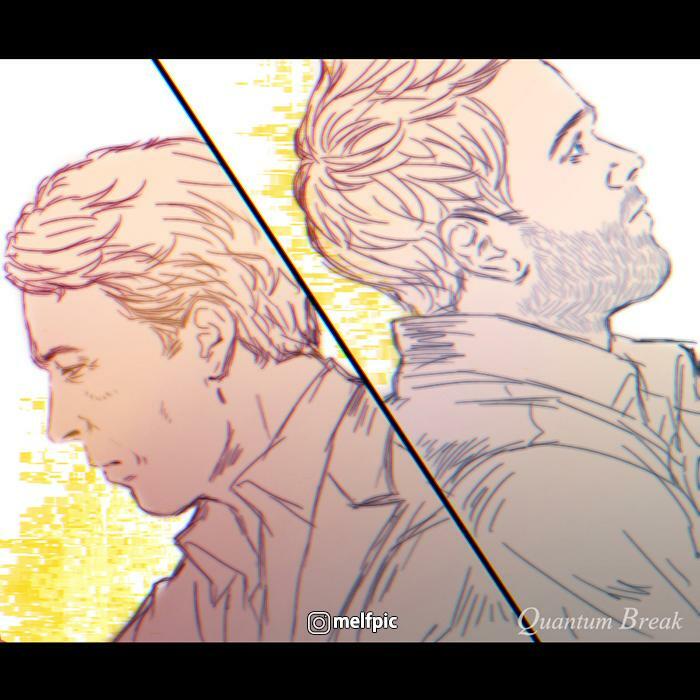 We showcased one of her pieces from Instagram during our E3 wrap ups, but since she has done so much amazing Quantum Break-inspired work too, it felt only right to give her her own dedicated article. Melissa's work is gorgeous. Despite not having formal drawing lessons, her self-taught style and artwork feels professional with a great deal of attention and detail put towards body language and facial expressions. The nuances which makes the characters come alive are there, whether it's the emotive eyes or a slight mischievous smile, they bring the characters to life and makes them instantly recognisable; Jack feels like Jack. The use of colours is playful too with a natural handpainted watercolour look for her full-colour pieces (which I love!) and a minimalistic and complementary hue choice for the sketches. 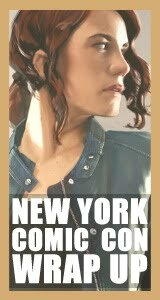 Regardless of what style she focuses on for each piece, the level of passion and enthusiasm for the titles show through, especially in her Quantum Break pieces. With each piece, she tells a different story, whether it's a lighthearted sketch with Charlie Wincott posing for a selfie with a disapproving Fiona in the background, or the more somber pieces featuring Jack and Paul. It's a nice selection of contrasting pieces in her portfolio! Her work is only available through her Instagram page, so to follow her adventures and stunning work, make sure to follow her on her page, melfpic! I’m Melissa, living in South Korea. I love playing games (especially Remedy’s), reading books, watching football, TV shows, and movies. I’m a big Remedy fan. I have just liked to scribble since I was little. After becoming an adult, I once dreamed of being a cartoonist, but it is almost impossible to earn money as a cartoonist in this country. (It is too difficult to live here as an artist.) So I walked in another way, giving up my dream. (Recently, I’m drawing only as a hobby). When I am painting, I usually get passion from my favorite actors, characters, games, TV shows, and movies. It is always fun to drawing fan art even if the results are not good. "In fact, I prefer a simple drawing to a few hours of careful painting because it's easy." You've always had a great art style, but you've clearly built up new skills and techniques over the past few months. How did you go about learning these? My painting looks improved? Thank you for looking like that. In fact, I didn’t know myself that my paintings have improved, because no one has ever pointed out about my paintings or taught me more about my skills. However, I prefer to create my own style rather than imitate other’s pictures. It is somewhat easy to follow someone else’s picture, but it has not been quite helpful to me. I have my solid, final goals about drawing style, so I just keeping going and going. I think, however, this method is not very good because there are limitations and the speed of development might be slow. But I’m drawing only as a hobby, so I would like to continue to find and develop my own skills and methods. 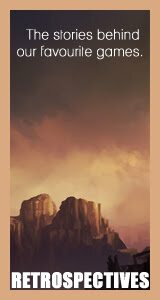 I like beautiful paintings, especially with pastel colors and light effects like sunsets. Personally, I like sunsets color. (So I like Remedy's games more, because I like the color and light effects in the games.) But I am not good at using color and light. Someday, I want to get used to using them and someday I’m going to draw paintings that fully satisfy myself. Over the last few months, my paintings may have improved a little, as you said. It's just a little bit easier to express what I have thought. But I’m not still satisfied with my paintings because i’m not good enough. I still have a long way to go.... But I can't spend that much time on painting practice. So even if I become able to draw well, I think it will be possible after a long time. If I have a chance, I want to study game concept art. 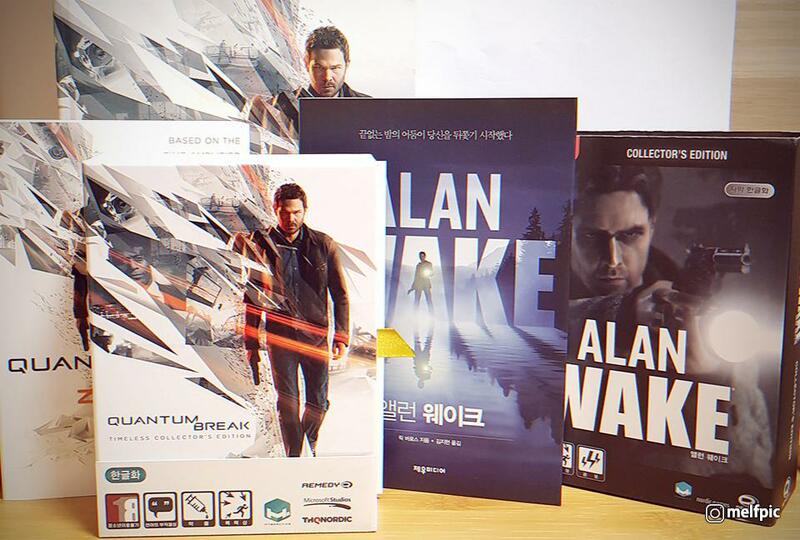 "This photo is my collection :) Just because there is no Alan Wake fan art on my Instagram doesn't mean I don't know Alan Wake." Before that, I also liked Alan Wake before Quantum Break. [Editor note: She's actually done some beautiful Alan Wake artwork since the interview was done, it's a wonderful but also dark piece.] As a result, I was also interested in the next game; just like the Control. 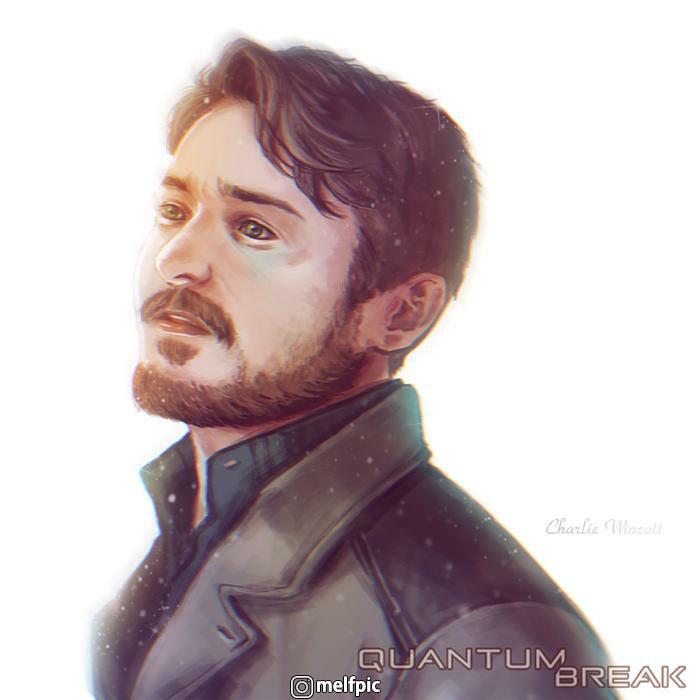 When the Quantum Break’s casting information was released, however, I knew that my favorite actor Aidan Gillen was participating in the game, and felt it like destiny. My favorite actor and a Remedy game meet together? There was no other explanation but to say it was crazy. And Paul Serene is, of course, my favorite character in the game, but I love the stories of other characters as well, including game play, live action show, OST etc. 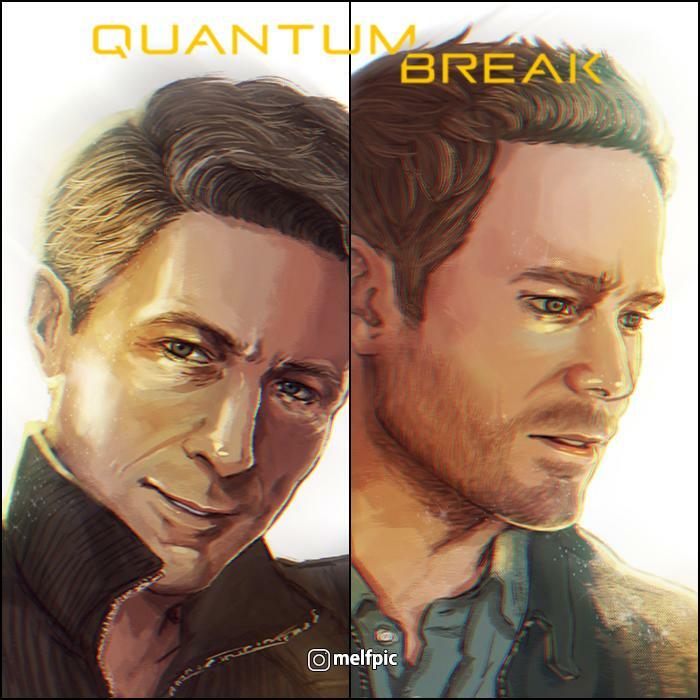 I think Quantum Break is really fun and well-made. This game is now in its second anniversary, but it is still one of the most exciting games. "Charlie Wincott is my favorite character after Paul and Jack." - That Paul was right. - For Jack and Paul to be friends again. - Jack and Will's family story. - Paul and Sophia's background. 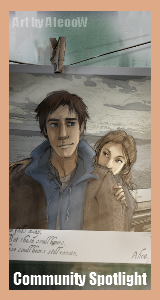 - The Adventures of Jack and Beth. - Charlie and Fiona's date. 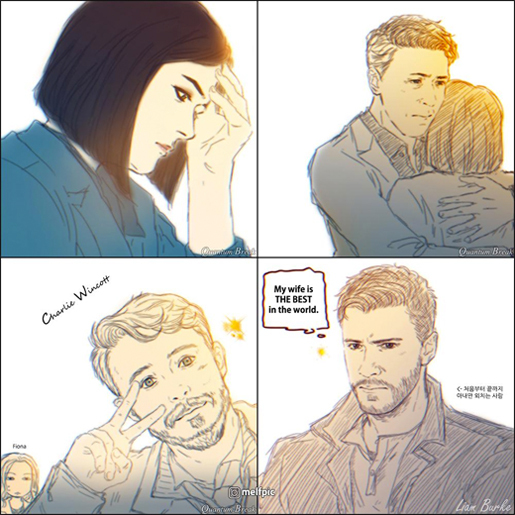 - The honeymoon between Liam and Emily. - Amy's normal college life. 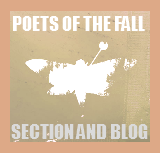 - Martin's past and future stories. 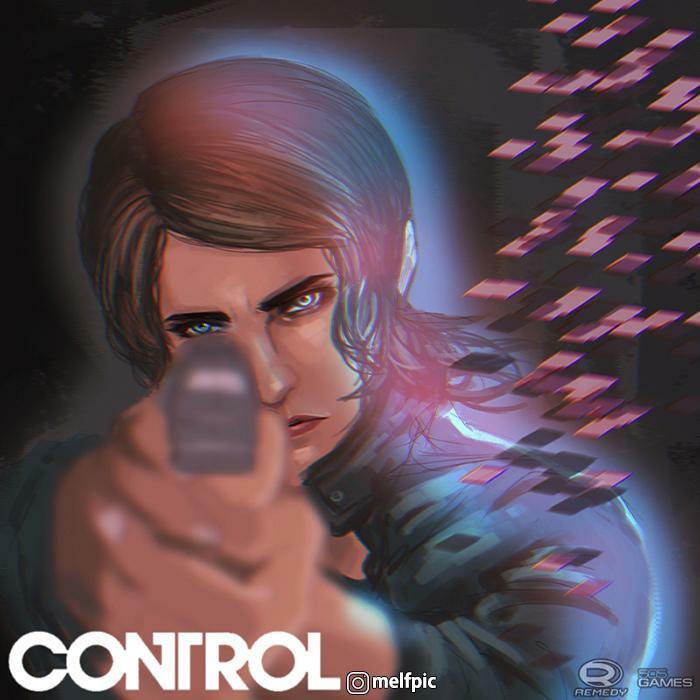 ​ ​You were one of the first artists out there to create artwork soon after Control's reveal. What was it about Control that appealed to you and what are you looking forward to seeing when it's released? It's a new game by Remedy! Need anymore? It’s REMEDY. Thank you so much for the interview and for the wonderful gift, Melissa! 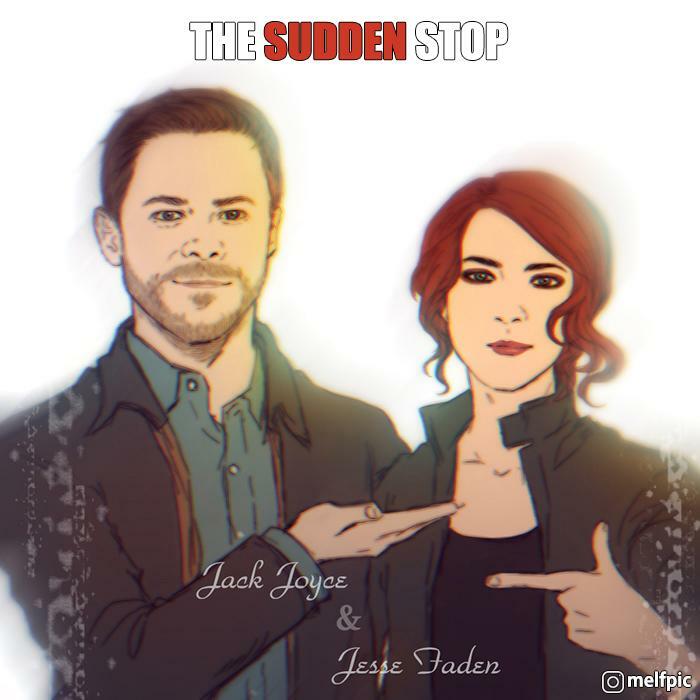 You can check out more of her gorgeous artwork on your Instagram page, Melfpic.